On Monday, March 14, USA Football in partnership with the NFL Foundation officially launched the organization’s 2016 grants program. 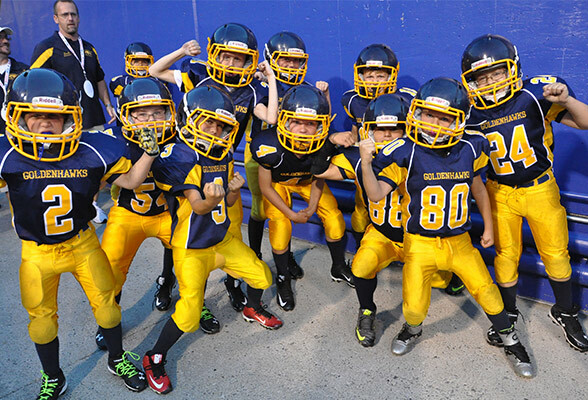 USA Football offers a variety of support for youth, middle school and high school football programs through grant opportunities for equipment, field building, disaster relief and AEDs. Grant distribution is contingent upon need, merit and overall participation with USA Football. In addition to the grants program, USA Football has several other initiatives including Heads Up Football and USA Football Month. The Buffalo Bills take an active role in supporting both campaigns. In 2015, the Bills worked with USA Football to assist 21 programs throughout the Western New York community by awarding uniform and equipment grants. Additionally, the Bills held a variety of events during the month of August to recognize USA Football Month. USA Football will be accepting grant applications until Wednesday, April 20. Following the submission deadline, each request will be reviewed and awards will be announced in May. For more information on USA Football’s 2016 grants program, please visit the organization’s website here.